Bleacher Report put out one of their more controversial lists, where they discussed the most over-hyped players in the NBA. The names on that list included Kawhi Leonard, Josh Jackson, Zach LaVine, and DeMarcus Cousins. Right away, I thought this list was bogus. Once I saw Jayson Tatum ranked number one, I just started laughing and closed the page. When I saw the article come out and I saw that Jayson Tatum was the player that headlined the list, I didn’t even feel the need to argue it or even attempt to read the article. I knew it was a ridiculous claim, but now I see everybody talking about it, so I figured I’d give my two cents. 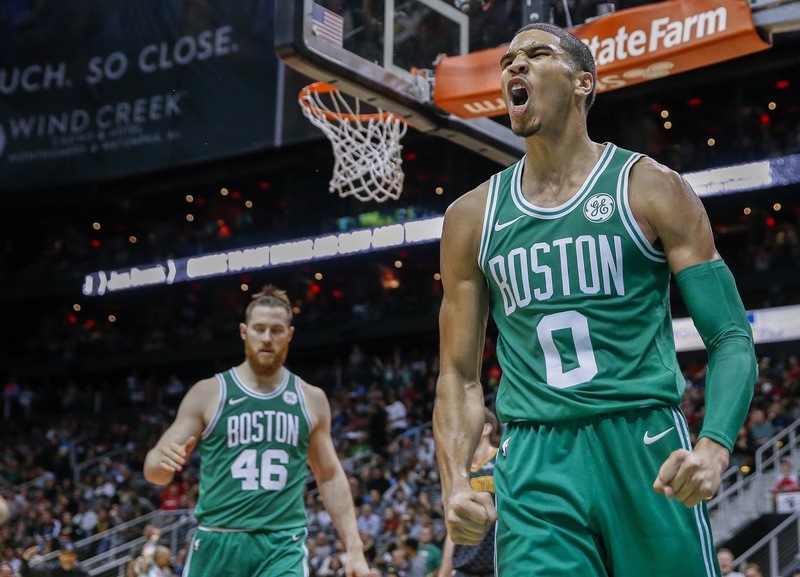 Jayson Tatum is not overhyped in any way. He had a stellar rookie season, averaging nearly 14 points-per-game while only getting ten shots per game. He averaged the fifth most field goal attempts on the team during the regular season. He was efficient with the limited amount of shots he was taking. Then we get into the playoffs, where he began to catch people’s attention. During the playoffs, he averaged almost three more shots per game, which led to averaging nearly five more points per game. His three-point shooting wasn’t anything spectacular, but besides that, he improved in almost every aspect of the game with a more significant role on the team. This is all at the ripe age of 20, I might add. I’m not a Boston Celtics’ stan writing this; this is a basketball fan with at least some common sense writing this. Jayson Tatum has the league’s attention for a reason. He has the potential to become a superstar one day. Saying somebody has the potential to become a superstar is not over-hyping him. He’s not a superstar yet, but judging by the way he played his entire rookie season, he’s proven that he can, and will become a superstar one day. Get it together, Bleacher Report. Next Post Next post: What Should The Red Sox Do With David Price?